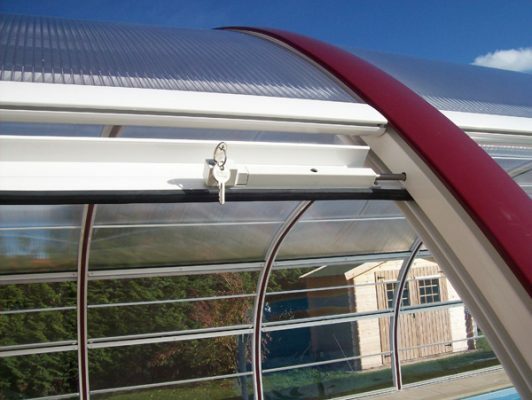 In the form of a curved basket handle, the roman arch design is made from structural aluminium beams, stainless steel fixtures and fittings and polycarbonate glazing. 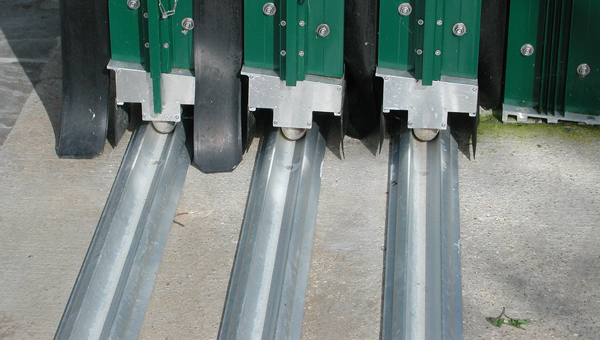 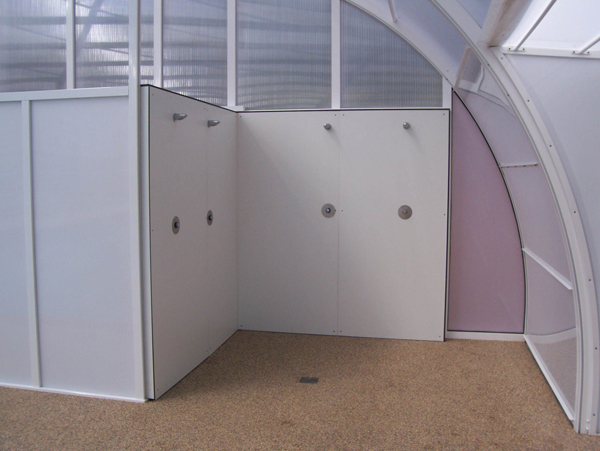 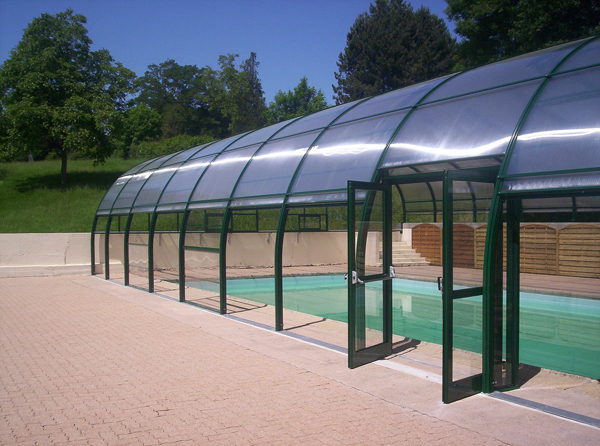 In the case of moveable pool enclosure buildings, the ground tracks are rounded, with no sharp edges to harm the users feet. 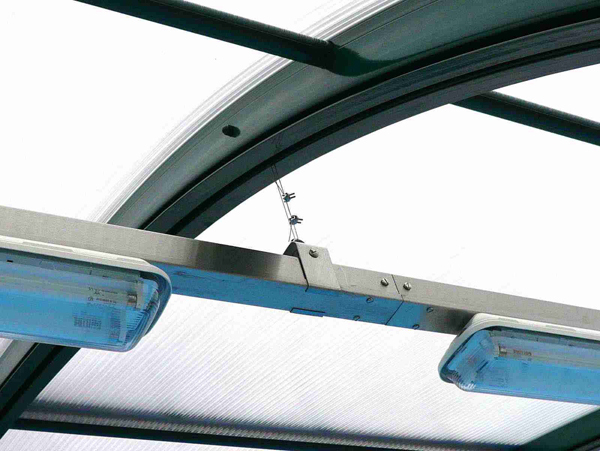 Whether open or closed, the tracks also provide complete safety from strong winds thanks to a special stainless steel coupling system. 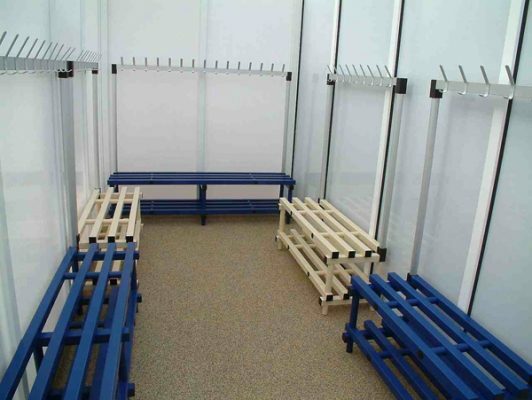 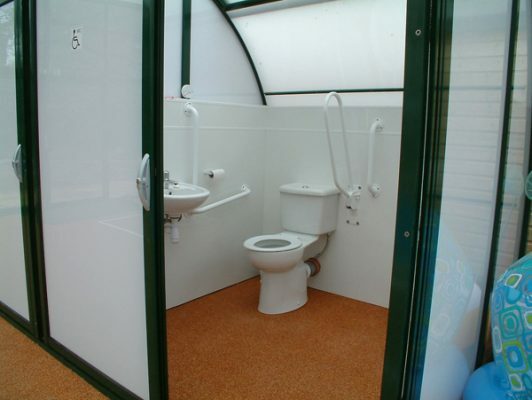 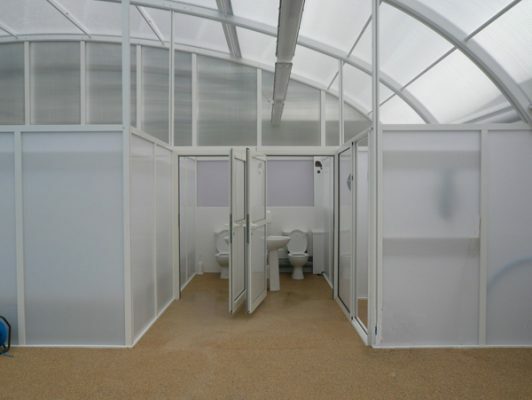 Change rooms & shower facilities can easily be incorporated. 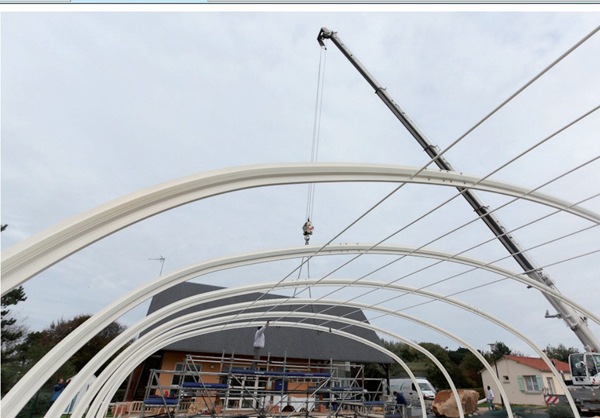 Clear Spans of 5m to 25m (16ft to 82ft) (no lateral ties required) and lengths 6m to 100m+ are available. 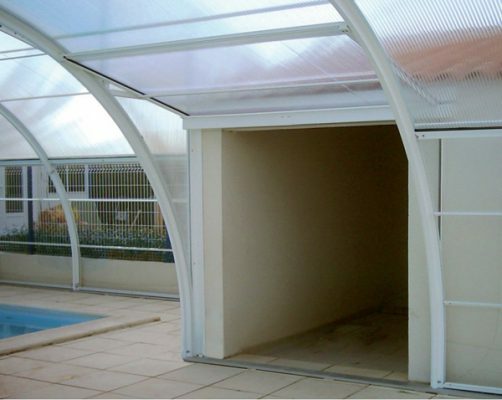 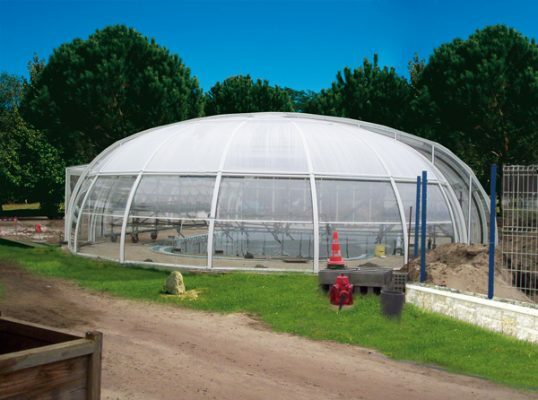 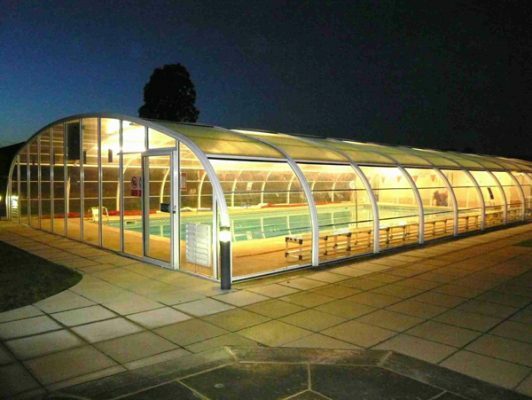 With an average erection time of 2 – 7 days on simple perimeter foundations and no site disruption make this form of pool enclosure building a very attractive option. 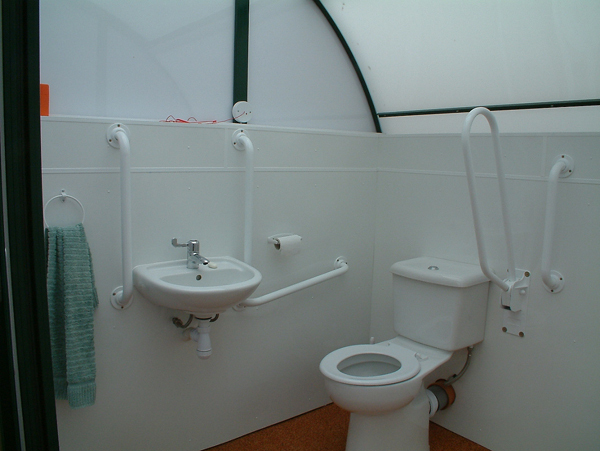 Limited access sites present no difficulty. 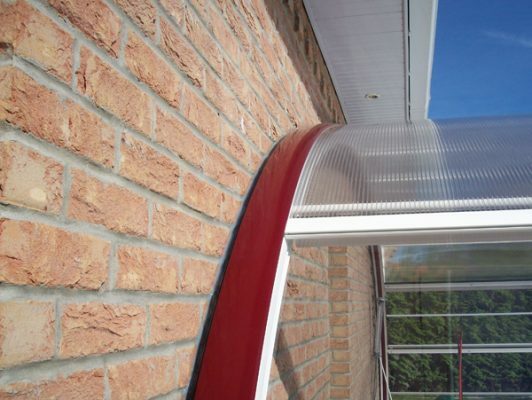 Side window panels are 2m wide and open up to 2m high by sliding up into the roof. 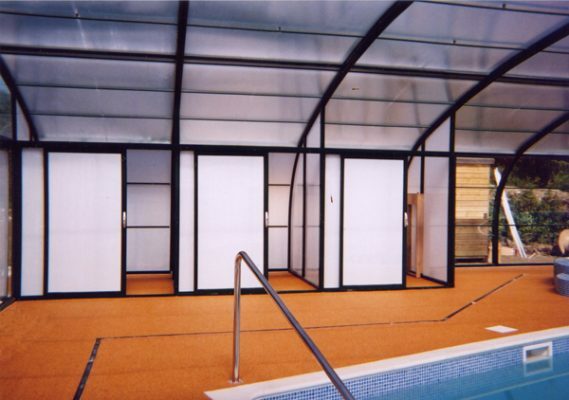 Single, double & emergency doors can be fitted. 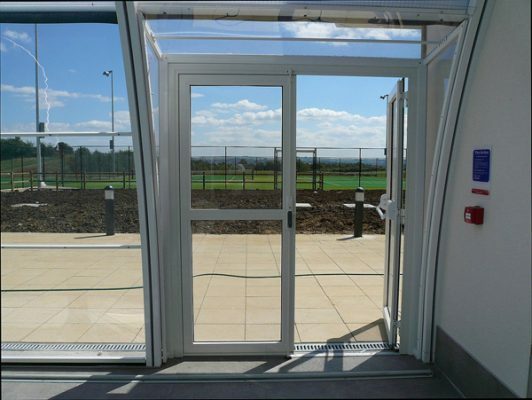 Safety Doors have Yale locks. 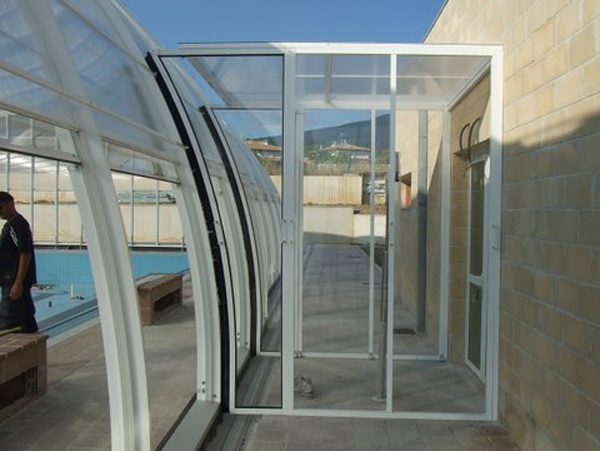 Windows can be locked securely in three positions – closed, open & ventilation. 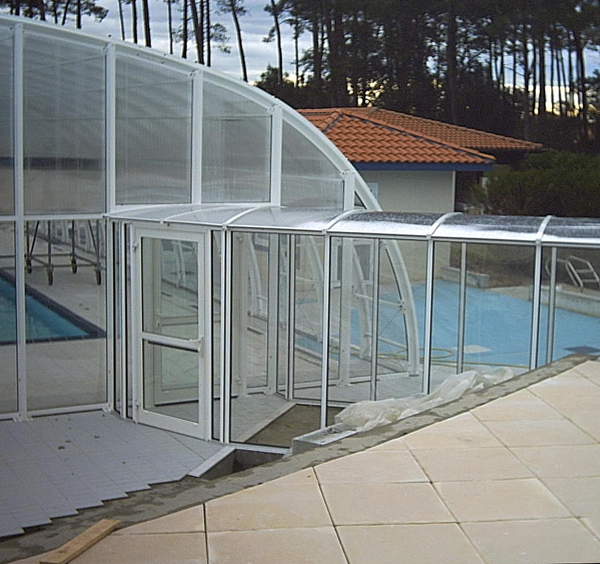 The swimming pool enclosure is secure from outside. 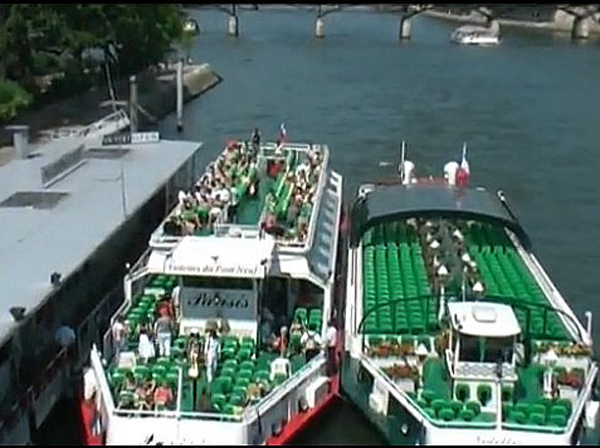 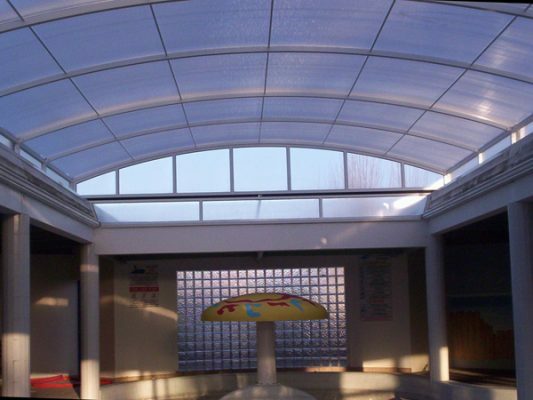 Polycarbonate – Fire performance: BS476: Pt7-Class 1. 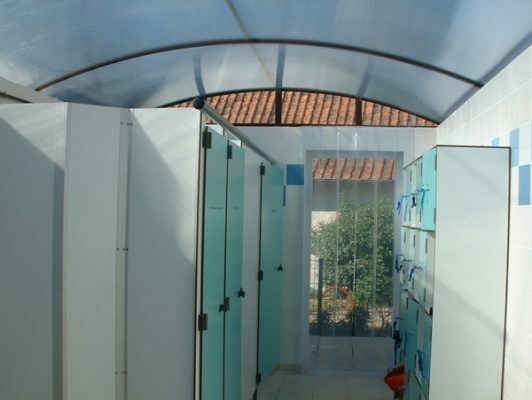 Durability: BS EN ISO 9002, Light Transmission DIN 5036, T3. 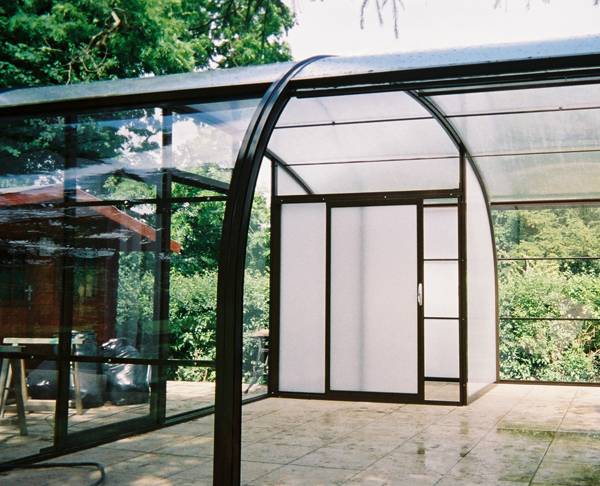 Polycarbonate sheet offers a superior glazing solution to that of other materials, particularly when safety and impact resistance is of vital importance. 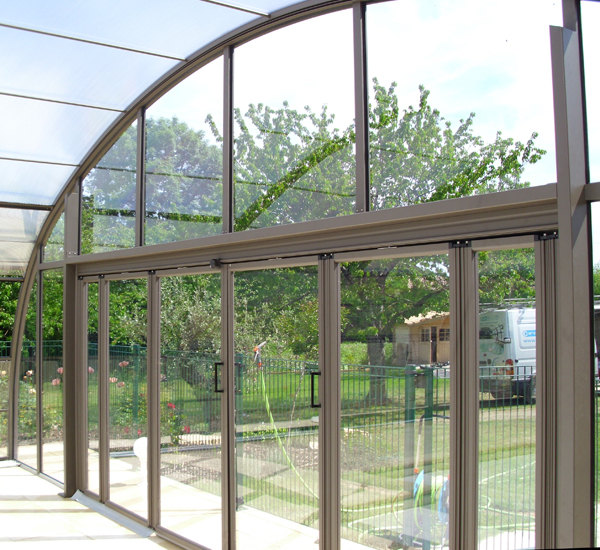 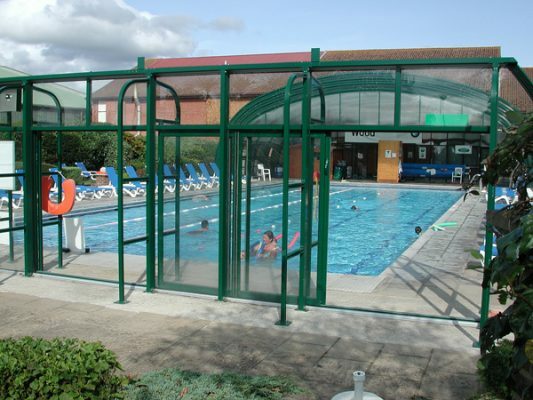 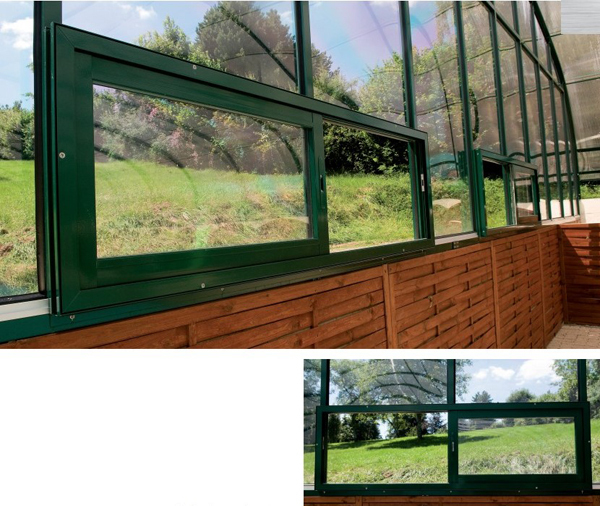 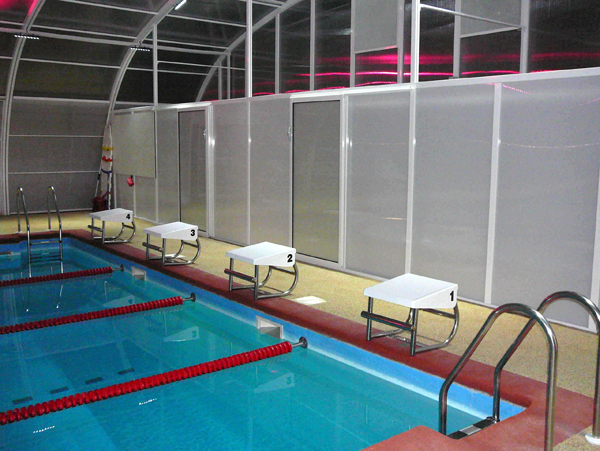 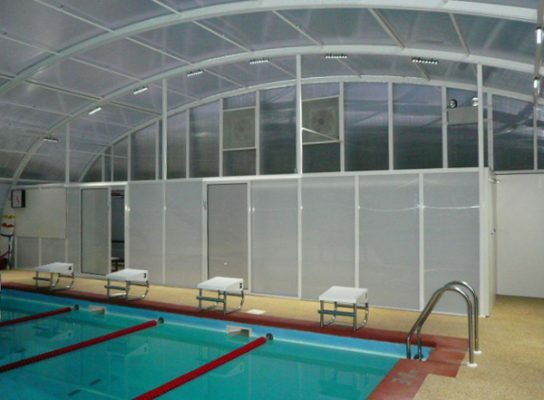 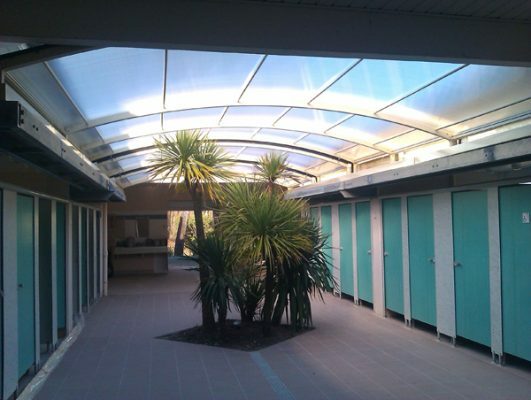 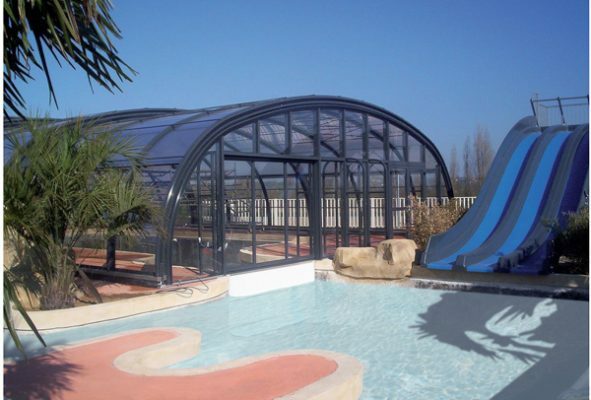 The criteria for safe, attractive and practical pool enclosure glazing in sporting facilities, schools and hospitals are easily met through the use of crystal clear polycarbonate. 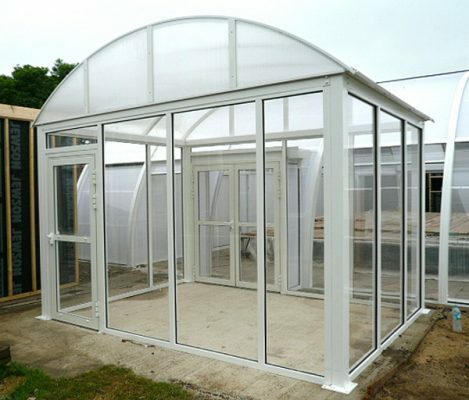 Other colours available. 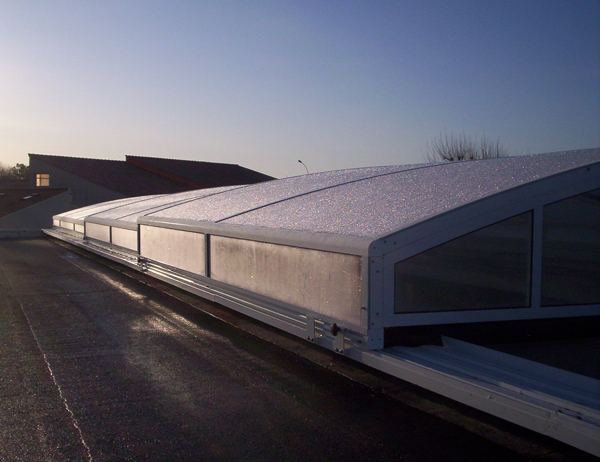 The multi-wall roof reduces energy loss & attracts free ‘solar gain’ heating. 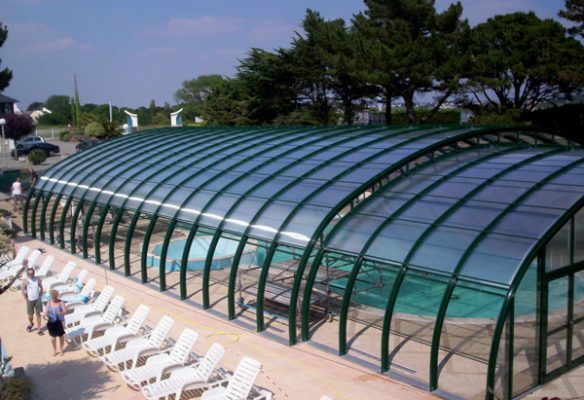 The polycarbonate has a UV absorption layer reducing UV penetration by 98% and therefore prolongs the life of chlorination products. 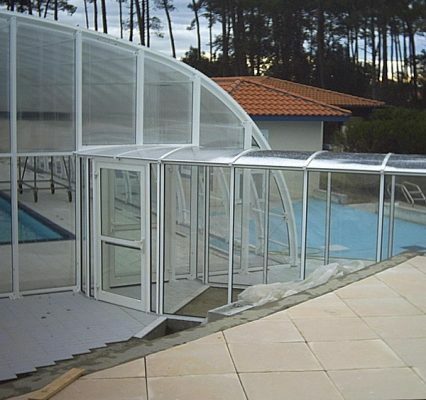 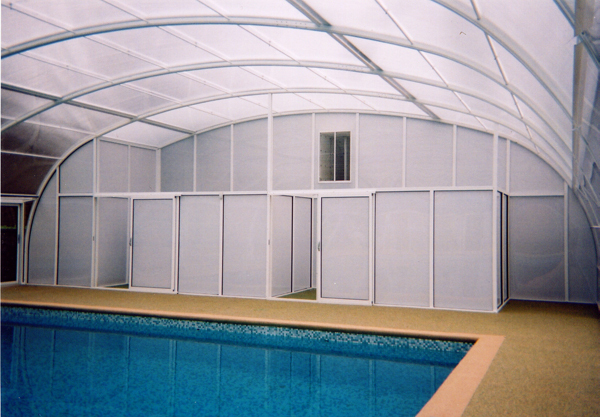 Maintenance of the pool enclosure building is minimal, needing only the occasional wash down with a water jet. 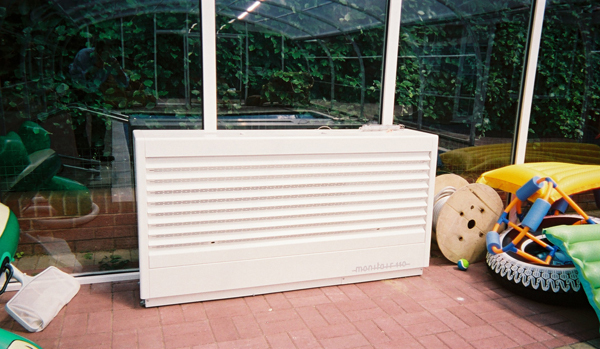 The enclosure is manufactured at our plant and test-assembled before free delivery to ensure perfect fit prior to on-site assembly. 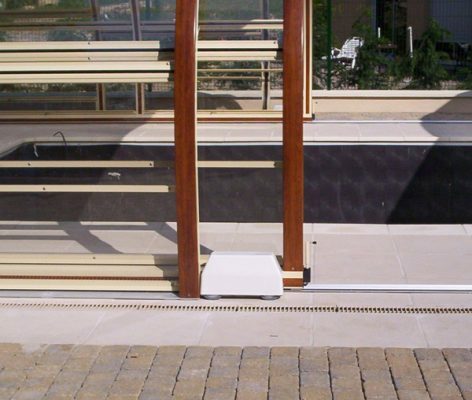 Foundations provided must be level square and flat. The building carries a 10-year factory guarantee. 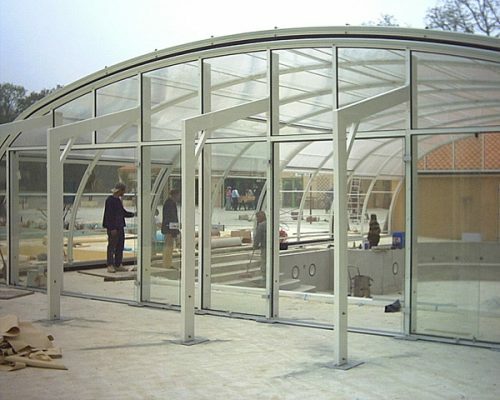 Should this be required we will supply full drawings and calculations. We can handle the submission on your behalf. 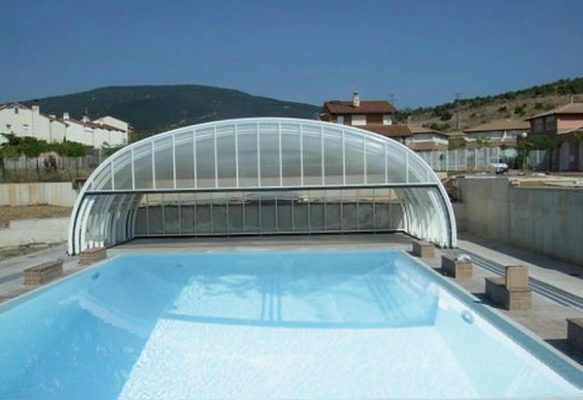 The patented swimming pool enclosure designs are recognized as amongst the most innovative and technically up to date in the world. 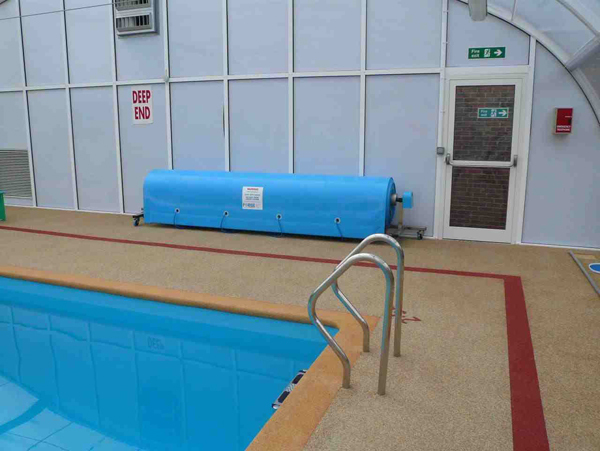 We supply a complete fixed price package for all pool enclosures including design, manufacture, construction and installation by our engineers.